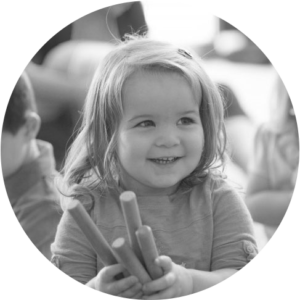 There are exciting ways for the little ones to spend their time that will help them learn, grow and explore their own creativity as well as the world around them. Then there’s the television. What’s it going to be? The latter is the easy option, but the average kid already spends around 30 hours a week in front of the tube. As a parent, it’s up to you to introduce them to healthier activities and guide them in their personal journey of discovery. Here are a few ideas, as well as some budget tips to help ease the strain on your wallet. This can be a lot more fun for the youngsters than you think as there’s much more to science than musty old textbooks filled with complicated equations. In fact, a hands-on approach is best, and there are plenty of projects to pique your kid’s interest in how the world works using little more than a few common items you can find around the house. These include making eye-popping Rainbow Magic Milk and solving mazes together. Since a lot of experiments are conducted with household ingredients, it won’t cost you much to get started. There is so much to do that it’s hard to decide where to start. A night of backyard camping teaches your kid basic outdoors skills — from pitching a tent to starting a fire — from the safety of your own home. Geocaching, on the other hand, allows you to explore the local terrain while learning some navigation skills with a GPS. Whatever you do, don’t forget a pair of binoculars (you can learn about some great ones here) for spotting and identifying the bird species that make your area their home. Here’s the best thing about exploring nature: getting outside and seeing what’s in your own backyard doesn’t cost a thing! You’ve likely read a little bit about the benefits of learning an instrument, which include an expanded memory, better reasoning skills, an improved social life and stronger discipline. It also provides a sense of pride and a source of pleasure, according to the digital radio station Classic FM. With so many instruments, it’s best to let your child choose which one they want to study after exposing them to a variety of musical forms such as classical, jazz and rock. Since instruments can cost a pretty penny, check online circulars or search for cashback opportunities to help you save some money for lessons and accessories. Building toys is a way to get your kid excited about the fields of science, technology, engineering and mathematics (STEM) while they’re young, says an educator with Teach Beside Me, and that’s quite an accomplishment for what are still essentially toys. Whether it’s Legos, Brackitz or model airplanes, they’ll help your youngster develop their creative-thinking and fine-motor skills, which prove useful no matter what they end up studying later in life. You can get started on the cheap by looking into online coupons or deals to get kits at a decent price. This is more than something that kids do just for fun. In fact, it’s crucial to encouraging the development of a wide variety of cognitive skills such as visual mapping as well as the ability to organize and convey information. Not to mention, it’s a wonderful avenue for self-expression that helps youngsters build confidence in their own talents. If you’re looking to get started, there are a variety of tutorials available online that guide budding artists line by line to create their first sketches. If you need any supplies, shop weekly ads and look for ways to save money online. Reading is a hobby that will stay with them their entire lives, so get them interested now by browsing the book shops or taking a trip to the library. As they progress, so will their vocabulary and ability to communicate, which pays off dividends at school and in their social life. Perhaps the best thing of all, it encourages a curious nature and thirst for knowledge that goes far beyond whatever story your kid is reading at the moment. A good way to get your child some books on the cheap is to swing by your local library. This will likely be a long process of exploration. It may take time for your kid to find something they are truly passionate about, so be patient and give them all the love, support and encouragement they need. Maria Cannon is the author of HobbyJr.org. She is passionate about spreading the joy of hobbies to young people.